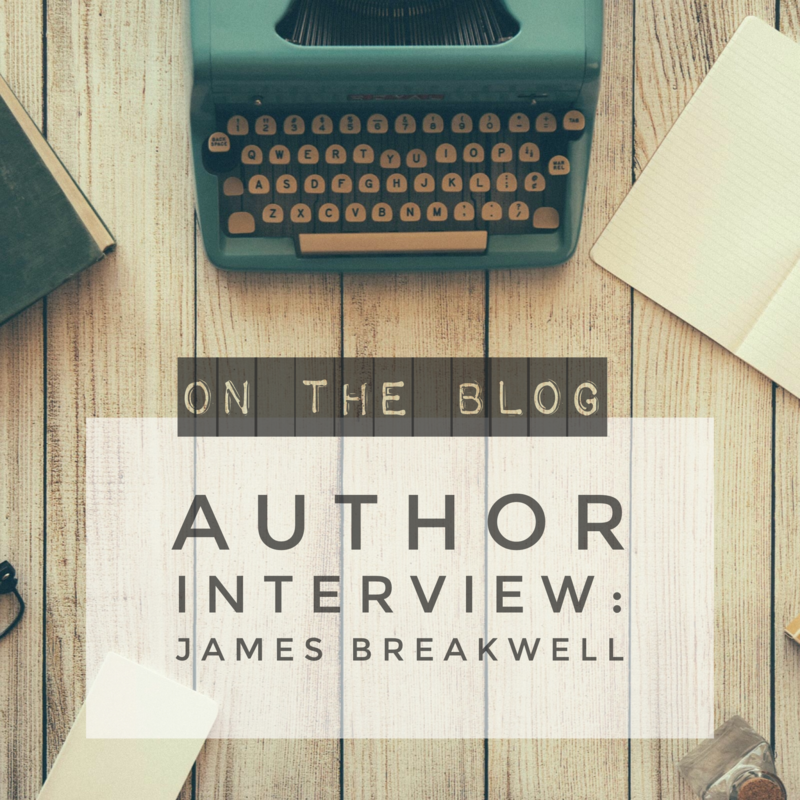 I had the true pleasure of interviewing James Breakwell, comedy writer, father, and author. His new book, Bare Minimum Parenting: The Ultimate Guide to Not Quite Ruining Your Child, is coming out next week! You may be one of his combined 1.5 million followers on Instagram, Twitter, or Facebook. If not, check out his pages. He’s totally relatable in this parenting world… and hilarious too! I am so excited to share this interview with you. I have four kids, ages eight and under, one wife, age don’t ask, and one pig, age two. How did you end up with a pig for a pet? My dad used to be a pig farmer, so for years pig ownership was my highest goal in life. My wife forbid me from buying a pig, but I found a breeder who would give me a pig for free if I could get them enough likes on social media. I asked the internet to help me exploit that loophole and endanger my marriage, and a week later I had a pig. We’d love to hear about your journey which led you to your social media platform. I started out blogging, but I could never gain a following. After years of futility, I switched to Twitter and things finally took off. It turns out people like me, just in much shorter bursts. Too bad I write books. Is this something you always wanted to do or did your plans change somewhere along the way? I always wanted to write comedy books, but I ran into a lot of dead ends before I got there. I thought I would work my way up through journalism, but I quit almost right away. Then I tried blogging off and on for years, but that also lead nowhere, which seems to be my favorite destination. Finally, in 2012, I joined Twitter and started to gain some traction. I wasted years of my life there until I went viral and landed some book deals. Mission accomplished, I guess. What are the goals behind your brand/ platform? Now that I’ve already written books, my only other goal is to steal the Declaration of Independence. Don’t tell Nicolas Cage. How do you consistently come up with content? I’m unable to cope with the world like an adult, so I turn everything into a joke. Also, disasters are good for material, and my kids give me an infinite supply of those. What do you like to do when you’re not on social media? Eat. Sleep. Think of ways to steal the Declaration of Independence. I once ran 43 miles in a day. Now I prefer to sit. My life is better for it. If I had to do it all over again and pick something other than writing, I’d be a web designer. Or Godzilla. Maybe both. What made you decide to write parenting books? I built up an audience with parenting jokes. It seemed like a bad time to pivot to a book of yodelling lyrics. My first book was Only Dead on the Inside: A Parent’s Guide to Surviving the Zombie Apocalypse. So far, no one who read it has died in a zombie attack. The book really works. You have a new book coming soon, Bare Minimum Parenting: The Ultimate Guide to Not Quite Ruining Your Child. What inspired you to write this one? Can you tell us a little bit about it? I kept seeing news articles about books teaching parents how to overachieve, so I felt like there needed to be a counterpoint. No matter how hard you push your kids, most of them end up being mediocre adults. Super moms and dads are working themselves to death for no reason. It’s okay for parents to take it easy. Laziness saves the day. Was there a chapter which was harder than the rest to write? The whole book was hard to write because it’s 50,000 words of jokes that had to make a coherent point. My first book was much easier to write. For that one, I just took regular parenting and added zombies. But for my new book, I actually had to think. It hurt. A lot. What motivates you/ inspires you? I’d love to be able to support myself solely off books. That’s a hard point to get to in 2018. But if everyone who reads this interview buys 100 copies of my book, I could be there tomorrow. No pressure. I’d like for it to be Nicholas Cage, but he won’t return my emails. I guess he wants the Declaration of Independence for himself. My kids are generally unimpressed by anything I do, but that’s just part of being a dad. My wife is on board because it keeps me out of trouble. Every hour I spend writing is an hour I’m not stealing national historic documents in elaborate heists. Did you face any challenges when you were just starting out in this world? Did you ever question yourself? I question myself every second of every day. But I don’t answer myself, so I just keep going. As for challenges, it’s hard to get noticed on the internet. Success and failure can seem entirely random. And sometimes they are. Are you feeling inspired yet? The total process from the day I write the first word to the day it shows up in stores is about a year and a half. But only about six months of that is intense writing. The rest is revisions, marketing, and researching the security measures at the National Archives where the Declaration of Independence is held. How do you manage to get it all done (Being a parent, a writer, managing your social media accounts, your webcomics, your YouTube channel)? What did I miss? Any secrets you can share with us? You know that time-turner Hermione Granger uses to go back in time and take two classes at the same time? Well, it’s not real. The only secret is to cut out other things in your life to make room for writing. I cut out fun. And sleep. Do you have any advice for new authors, aspiring writers, bloggers? Write. You’ll never get anywhere if you don’t put words out where other people can see them. You better love writing because you will likely do it for years for free before you make any money at it. Also, don’t steal the Declaration of Independence. It belongs to me. Procrastination. Too much time dreaming and not enough time writing. The laser grid that surrounds the Declaration of Independence. Don’t write jokes about stealing the Declaration of Independence. It will get old after the first few questions, but by then it will be too late to turn back. What has been your favorite part of your journey so far? Getting to the point where people actually pay to read my jokes. There were many, many years where I couldn’t get people to read them for free. I loved reading this interview!! Great questions and great responses! I hadn’t heard of James Breakwell before, but I’ll definitely be looking him up! His book sounds funny and like a great read! I read tons of parenting books before my daughter was born. But I stopped because they made me feel pressured and bad.. this one sounds great though! Hi Laura! Thank you so much! I am so glad you enjoyed the interview! I totally agree and feel the same way about parenting books. This is why James Breakwell’s book caught my eye! I love his take on parenting! That pressure you speak of is also the motivation behind my own parenting book coming soon! I truly appreciate your comment! I enjoyed reading this!! Great interview! This interview was too funny! It’s nice to know that it pays to be patient. Hi Melissa! Thank you. I agree! It made me laugh and it is a nice reminder too! Hi David! Thank you so much! That means the world. I really enjoyed this interview! I am glad you did as well. I also love following along with James! So relatable and he makes me laugh!